To many people, indulgence means French cuisine! One of the foremost elements of French culture is food, and it is marked by its finesse and flavour. The French people are very particular about their eating habits and hate to deviate from them. A French breakfast is light, but lunch is very elaborate. Dinner also consists of smaller portions. The French are also very punctual when it comes to food. There are set meal times, and it is hard to spot people eating out of the designated hours. They prefer eating at the table, and you will never spot them eating while walking, talking, driving or shopping. French meals are very wholesome as they incorporate all the nutrients. French cuisine is especially famous for its cheeses and wines. Vegetables also form an essential part of French cuisine, and so do breads . Baking is one of the most popular cooking methods used by the French. 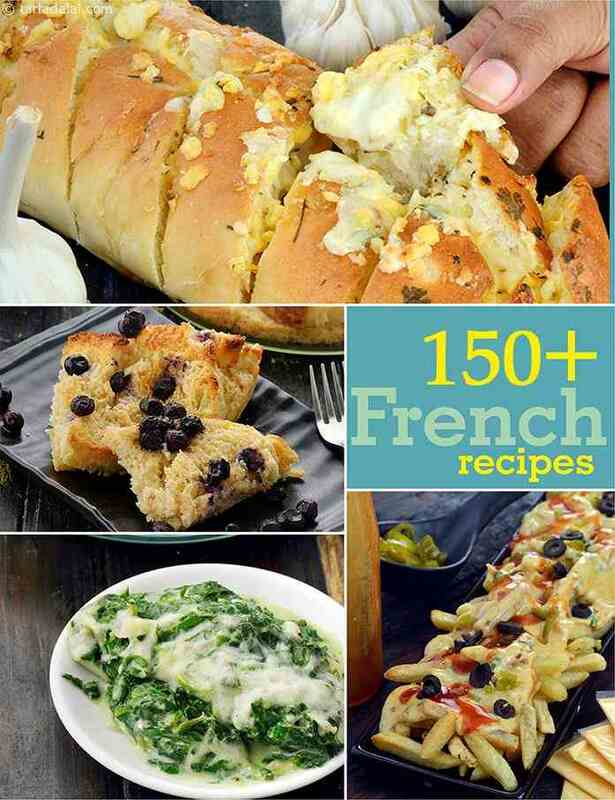 In this section, you will find a range of French recipes ranging from everyday to exotic ones. Classic recipes like Baked beans and Potato Baked Dish , Baked Ratatouille Pancakes in White Sauce , and Baked Spinach with Spaghetti , are must-try.